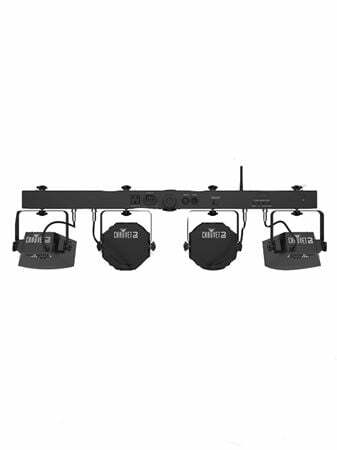 Order your Chauvet DJ Gig Bar Flex Stage Lighting System from AMS and enjoy 0% Interest Payment Plans, Free Shipping, Free Extended Warranty & 45 Day Money Back Guarantee. 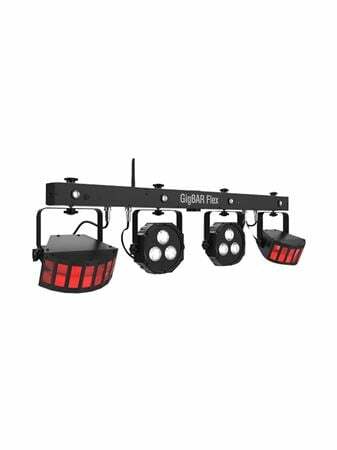 Step up your show easier than ever with this great lighting system! 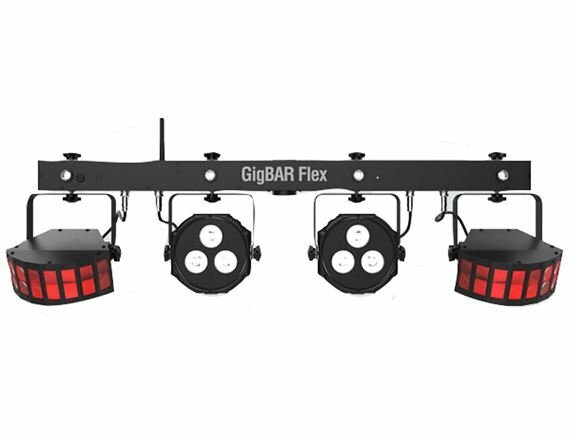 The Chauvet DJ Gig Bar Flex is an easy to use and set up DJ fixture. Combines light, stand, cables and case in 1 lightweight easy to carry package. It’s great , easy setup , & just right. Very great product! Can’t wait to buy another! This is a great little light. Easy to transport, easy to setup, and running it with the included foot pedal makes it incredibly easy. Just 1 of these provides a pretty decent amount of coverage. I just received my gig bar and I was very disappointed that it does not come with a stand. 350 dollars for this product and no stand. Not long received the Chauvet DJ Gig Bar and already fell head over hills ...! The multi-function lighting and the small portability allows easy carry, setup, placement and breakdown! Oh, amd did i mention: the name speaks for itself and it is 100% satisfactory proof of live performance and provision fitting for the occassion. "Just like being in theatre or THE BIG STAGE!" EVERYONE THAT NEEDS ONE, IN THIS FIELD ..., GOT TO HAVE ONE OR TWO OR THREE ...!